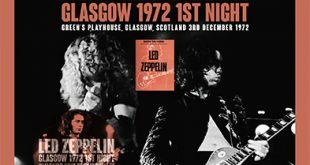 In what would be Led Zeppelin’s last proper tour of the UK, two nights were scheduled at Green’s Playhouse in Glasgow in the first week (not the Apollo as listed on the cover). 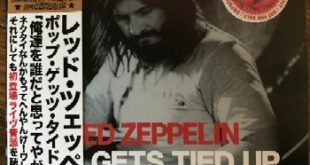 The December 3rd show was not taped, but the second night on December 4th was and is documented on Stuck On You on The Diagrams Of Led Zeppelin. Released in February 1997, this is still the only commercially available edition of this tape. 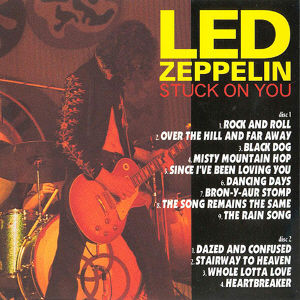 It is a fair audience recording taped a distance from the stage that really appeals to Zeppelin collectors only. Once the ears adjust it does become quite listenable. The sound quality is similar to the Wings tape recorded at the same venue six months later and is probably the work of the same taper. There is a strange beeping noise in the left channel at 2:50 in “The Song Remains The Same” that lasts for about a second, and there are cuts at 18:09 in “Dazed And Confused” and at 10:30 in “Whole Lotta Love” right between “Let’s Have A Party” and “Stuck On You” in the medley. Finally eyewitness reports say, in addition to playing “Heartbreaker” in the encores, they also played “Immigrant Song” and “Communication Breakdown.” There is no evidence on the tape, but judging by the insane response of the audience it is most likely true. “Dazed And Confused” is about a half hour long and doesn’t yet have the “San Francisco” interlude. 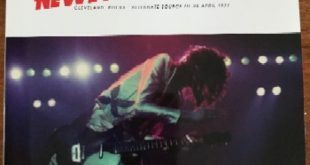 The do get into “The Crunge” in the middle of the improvisation and an eyewitness describes how Page, Plant and Jones lined up on stage and all gave a coordinated kick as a dance step. You can hear exactly when they do it too because the audience cheer them on! “The Crunge” being included in “Dazed” began during their American tour and is a strange little interlude, a self-conscious dance number in the middle of the long and heavy workout. On later tours it would be included in “Whole Lotta Love” which fits a bit better. 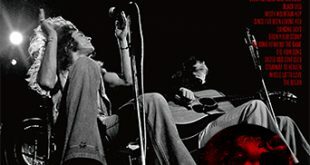 The “Whole Lotta Love” medley includes a rare cover of “Stuck On You” and one of the most insane Jimmy Page solos during “I Can’t Quit You Babe.” Stuck On You is packaged in a glossy cardboard gatefold sleeve with a concert photo of the band taken in Montreux the previous October and represents all that was good about this label. Great packaging, no overzealous remastering and the presentation of a rare but listenable tape make this worth having. The venue was never called Celtic Greens Playhouse . It was just Greens Playhouse . Then name changed early 70s to The Apollo . This is the venue Status Quo , amongst others recorded their live album . Apollo audiences were famously appreciative .